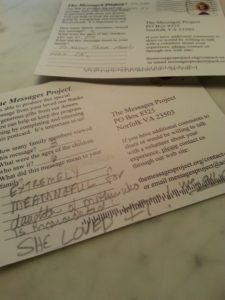 Has your family participated in The Messages Project program? We’d love to hear from you! Your input could be featured (anonymously) here on our site. 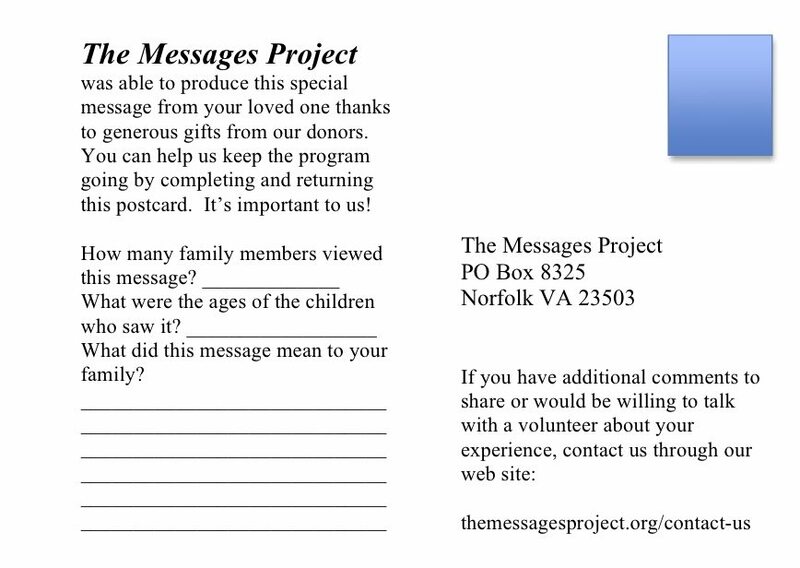 Please share your thoughts and encouragement by printing, completing, and mailing the form shown below. You are also welcome to send feedback to us via email. 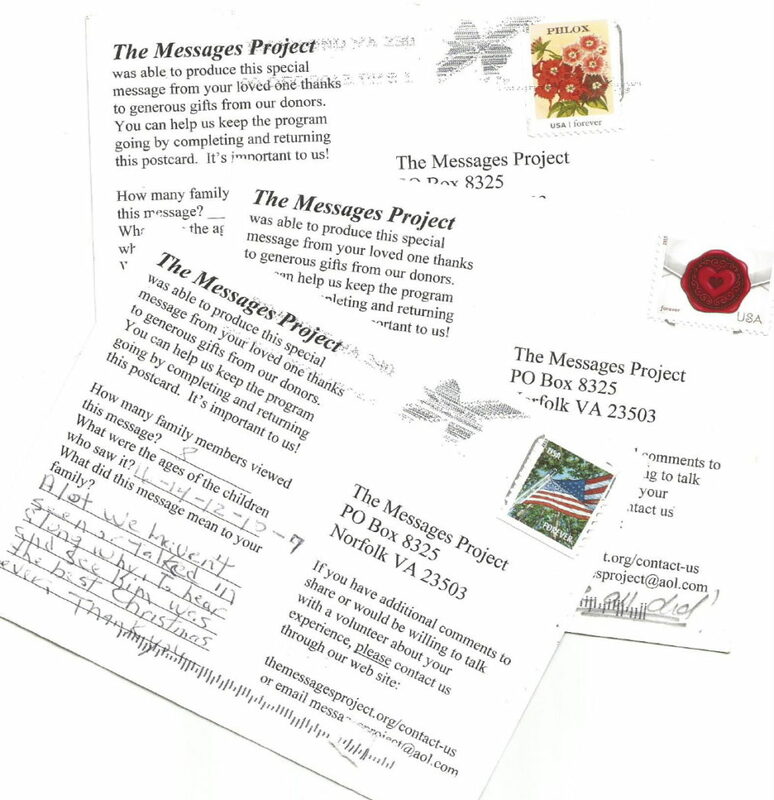 We hope to hear from you soon. Carolyn LeCroy (center) was reunited with 2 formerly incarcerated mothers, Amber and Beth, in June 2013. 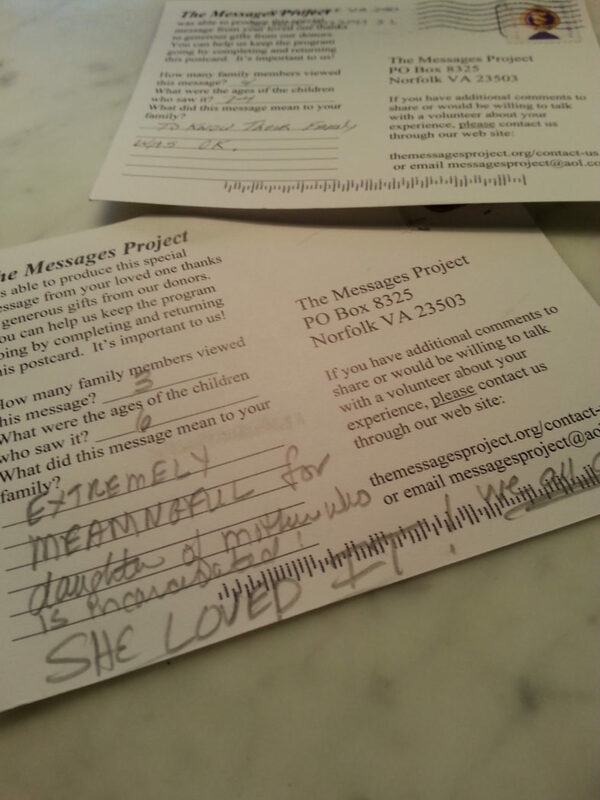 The moms wanted Carolyn to know just how important her program is and how it impacted their families. 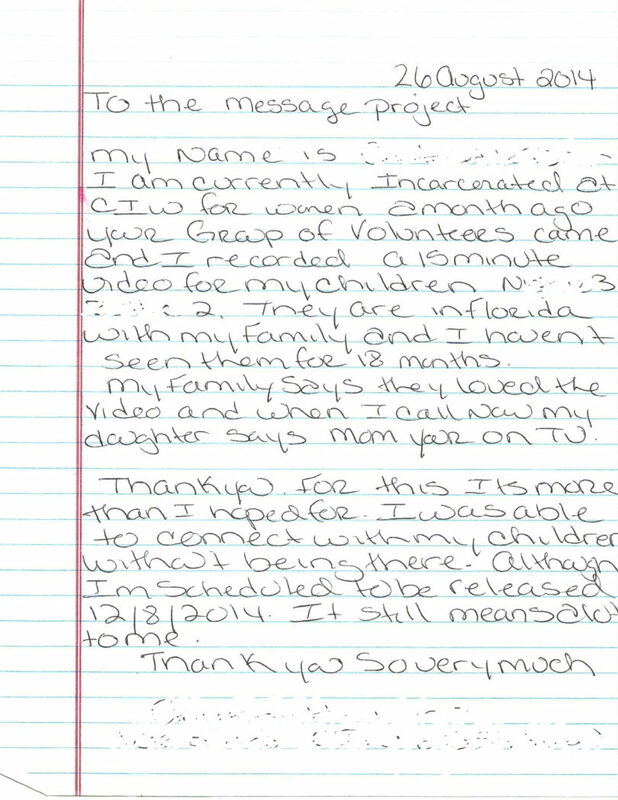 A mother in a California prison wrote us this letter to express her appreciation for our help in keeping her connected to her little ones. “I’ve always noticed that most people react the same way when in the filmed situation. They fidget, forget what they want to say, freeze up, and have a difficult time ignoring the fact that the camera is simply a medium of communication. So, what makes this woman any different? First of all, she’s serving a seven-year prison sentence. Secondly? Not much anything else. She’s a mother, separated from her child, but the child was too young when she left to understand why. 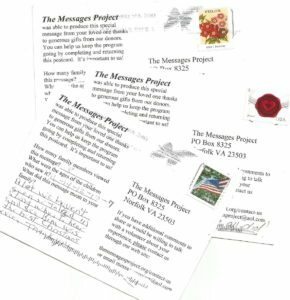 Then, The Messages Project, Inc., gave this mother a chance to say the things she has long bottled up while trapped in the physical manifestation of her crime.” Read more.